Which Tin to Use for Cheesecakes? 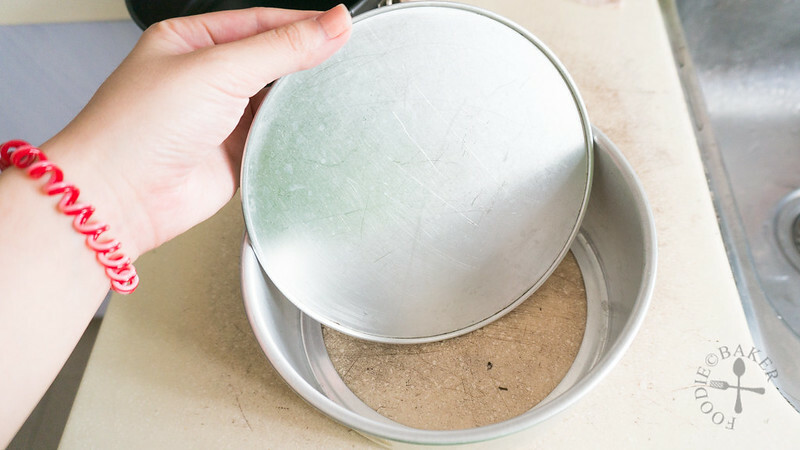 Have you ever wanted to bake a cheesecake but afraid that you don’t have the right tin to do the job? I have been baking quite a few cheesecakes lately and decided to share the different types of tins I’ve used to make a cheesecake! Cake rings are one of my favourite moulds to make cheesecakes. 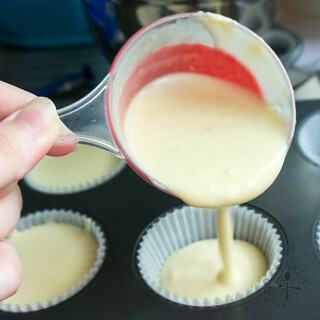 They come in many shapes and sizes – I especially love to use the small ones to make mini cheesecakes – small cakes are always cuter, don’t you think? 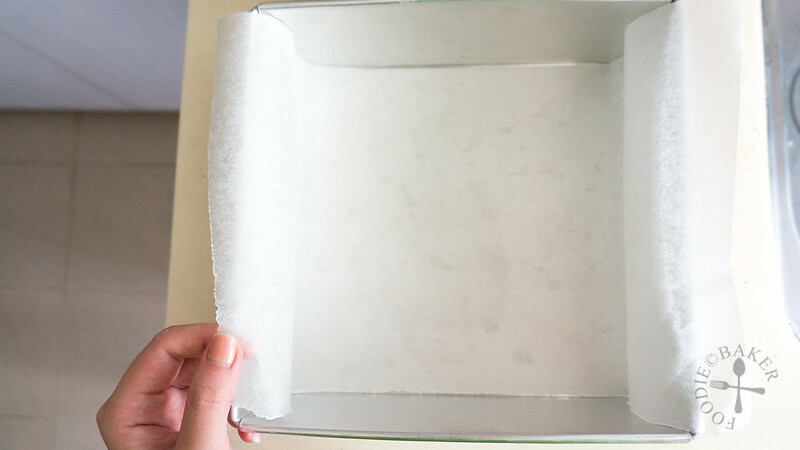 To use the cake ring, place a piece of parchment paper on a baking sheet then the cake ring on top of the parchment paper. Tip in the crust mixture and press it evenly on the base of the cake ring. This method will not be suitable if you want to bake the cheesecakes in water baths. Springform pans are awesome in making cheesecakes as they can release beautiful and perfect cheesecakes. If you want to bake the cheesecake in a water bath, it’s still a good idea to wrap the tin with several layers of aluminum foil to prevent water from seeping in. My springform pan is the largest in the house, so I have to bake the cheesecake without a water bath. 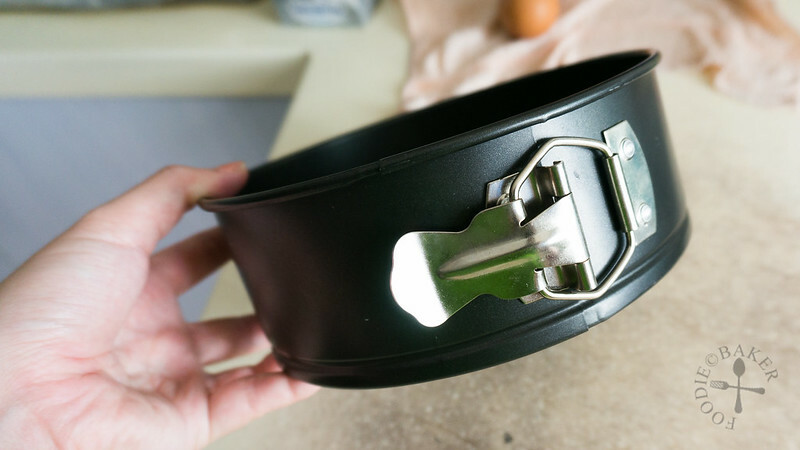 The downside of springform pans is that they are pretty expensive. I have a 7-inch loose-bottomed tin, so this is one of my go-to tin whenever I’m making a smaller but tall cheesecakes (usually using recipes meant for 8-inch cheesecakes). 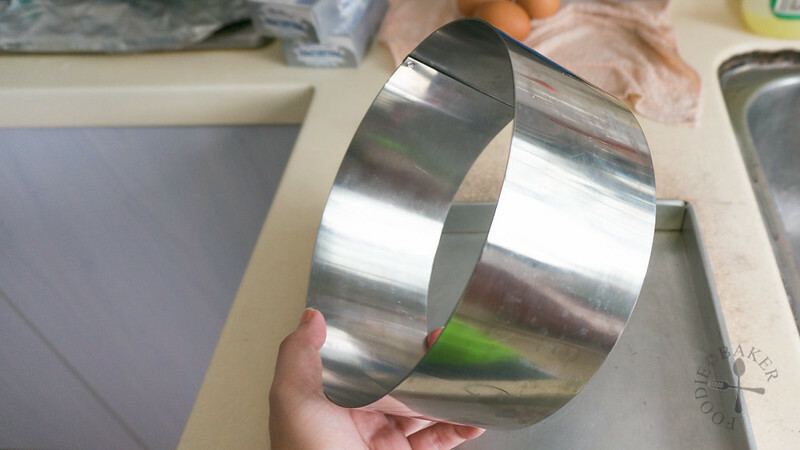 It removes pretty easily from the tin – simply place the whole tin on top of a bottle (e.g. beer bottle), wipe the exterior of the tin with a hot cloth and slide down the exterior of the tin. Or you can enlist the help of your friend to push out the cheesecake. I found that the sliding down action helps to smooth the sides of the cheesecake, so no need to worry about uneven sides! They definitely need to be wrapped in at least 2 layers (I usually go for 3) of aluminum foil if baking the cheesecake in a water bath. 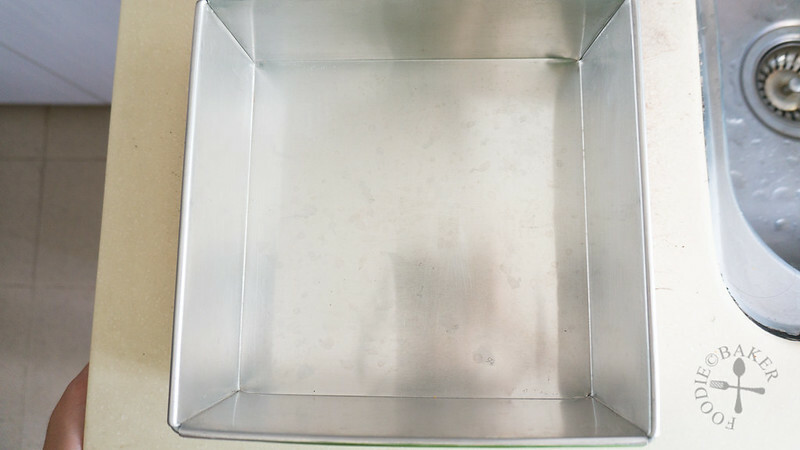 The down side is that there is not much use of this tin except for making cheesecakes. To get some help in lifting out the cheesecake, I will lay a piece of parchment paper in the tin, leaving a hanging edge. After chilling the cheesecake, I will run a knife along the edges, then slowly and gently lift the cheesecake out. It’s best that your cheesecake is not too tall, otherwise your cheesecake may be a little too heavy and the parchment paper may tear! Pulling the cheesecake out… and also a sneak peak to an upcoming cheesecake recipe! 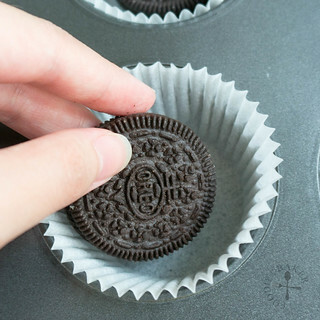 Last but definitely not the least, muffin tins are also awesome to use for making mini cheesecakes, but they can be a pain when removing them from the tin, so I always use a paper liner, but most of the time when I make mini cheesecakes with muffin tins, I will not bother making the crust, instead, I will simply drop an Oreo cookie inside. 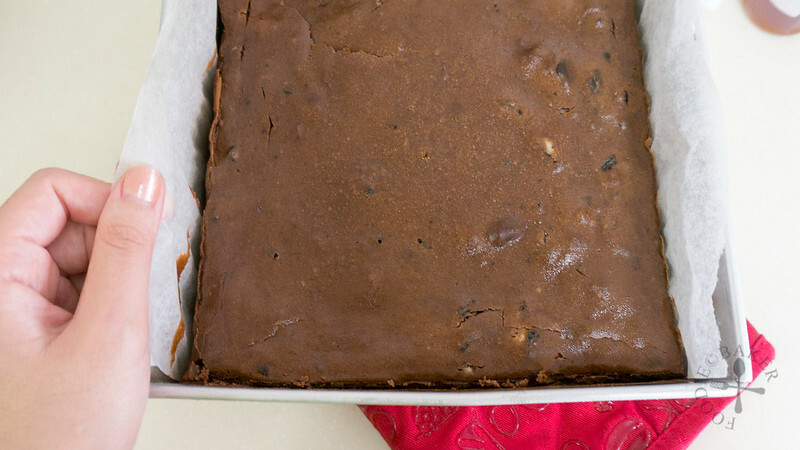 It won’t be as delicious, but a great alternative if you are out of time and need a shortcut. What is your favourite tin to use to make cheesecakes? Have you tried making cheesecakes in other types of tins? Do share with me your ups and downs in cheesecake making! A useful informative test Jasmine. I once tried silicon moulds but have been disappointed by them, unless someone can tell what they’re any good for! You are welcome Neil! By the way it’s Jasline not Jasmine 😉 I usually use silicon moulds for cold/frozen desserts, because they allow the cake to unmould easily. I don’t think they are very suitable for cheesecake because they are not sturdy enough to push the cheesecake out. Many thanks Jasline.. yes I see what you mean about low temp use. Great, informative post, Jasline. 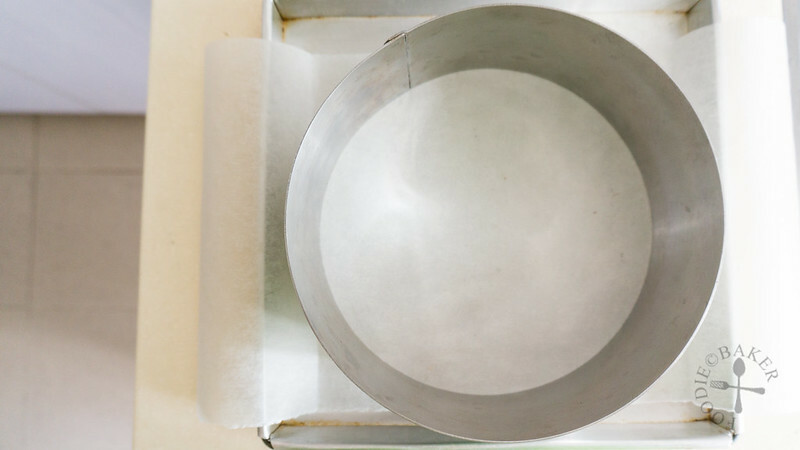 I use a springform pan for mine, though, you’re right to suggest using foil to cover the bottom in a water bath. The tiniest leak can be disastrous. What helpful tips, I often use springforms for my cheesecakes! I’m glad you find it helpful! I really want to get smaller springform pans, but my cupboard is bursting with so many baking tins! Awesome tips! Except I only have springform tins and muffin tins.. At least I can still get a lot of cheesecake making from them! Thanks Cathleen! Yes can’t wait to see some cheesecake recipes appearing on your blog! I never tried a ring mold, if not using water bath method it would be really great. Love that idea. Great tutorial Jasline. Thanks Suzanne! Nowadays I’m a little lazy to bake cheesecakes in water bath, got to do an experiment one day to test whether it makes a significant difference!